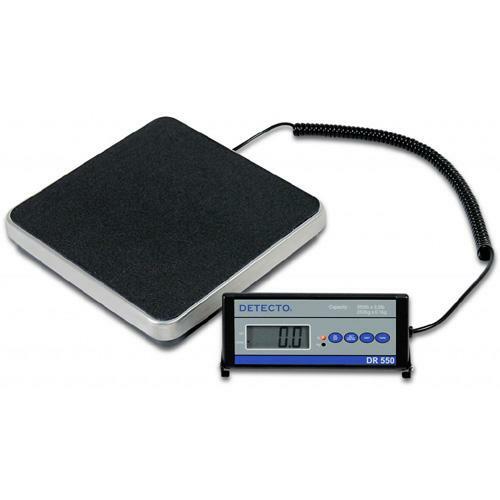 Accurate and reliable, Detecto's economical DR550C stainless steel platform scale is lightweight and portable, making it perfect for mobile clinics and home care nurses. The remote indicator features a large 1"/25mm high LCD display, units conversion, and tare. The unit has a slip-resistant mat to ensure patient safety when getting on and off the scale. The DR550C is battery powered, so you can take it anywhere you need it.